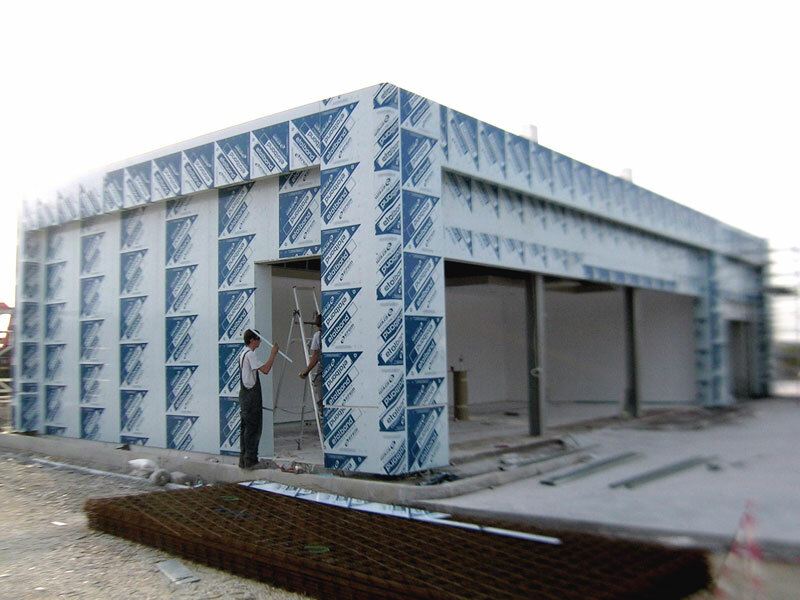 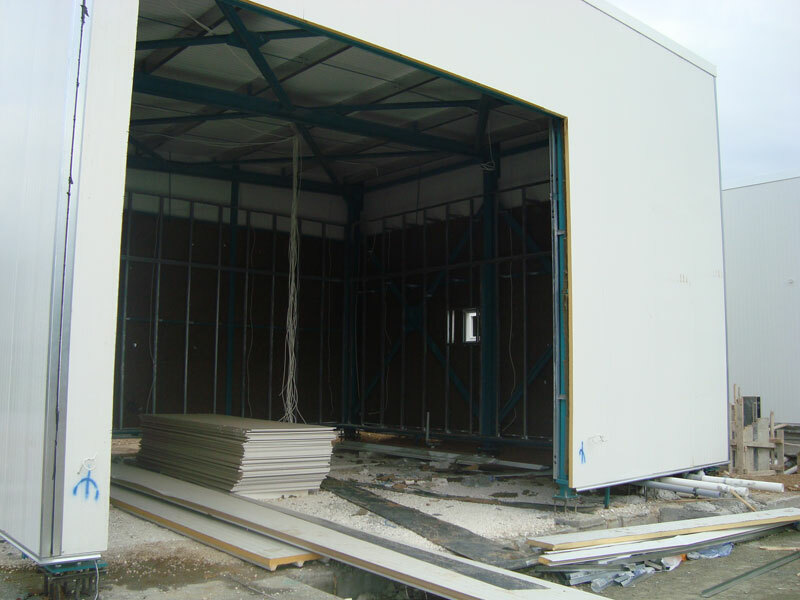 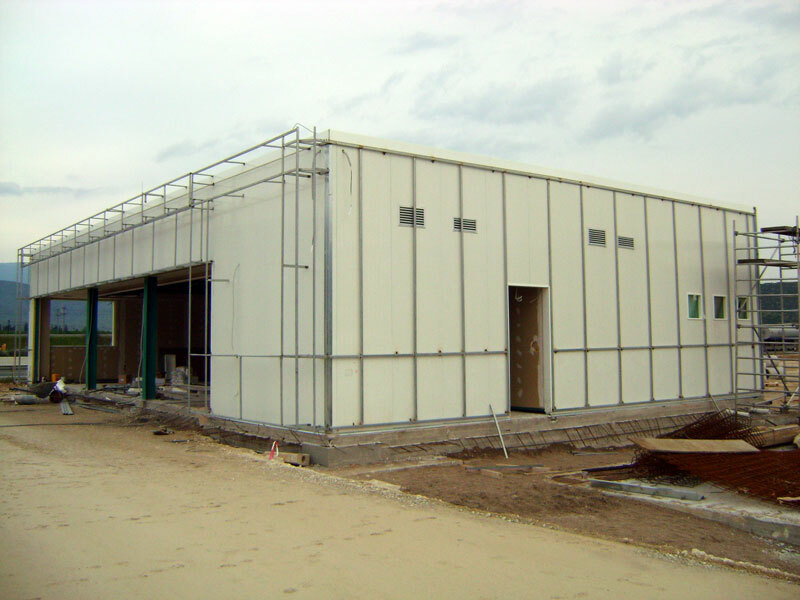 The use of composite panels for layering buildings requires the formatting of the panels in boxes, known as cartridges. 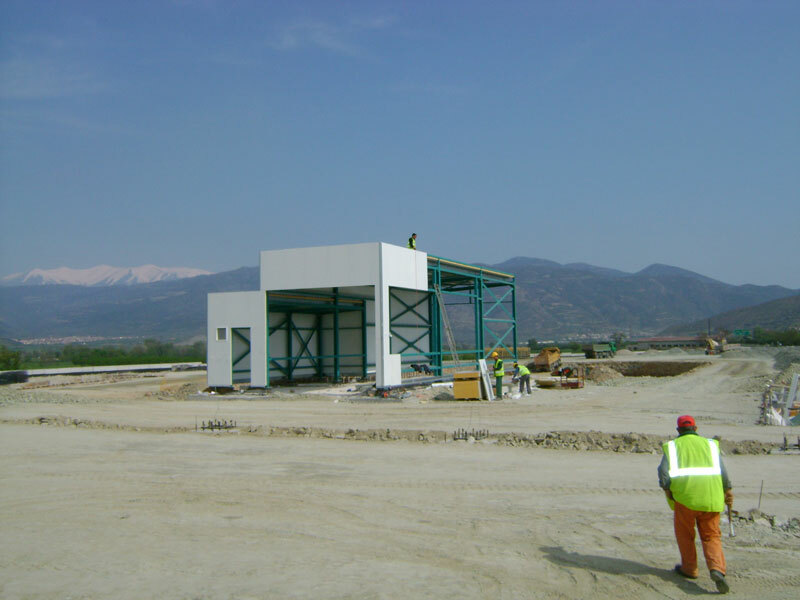 The cartridge manufacturing process includes calibration, engraving, cutting corners, folding and joining. 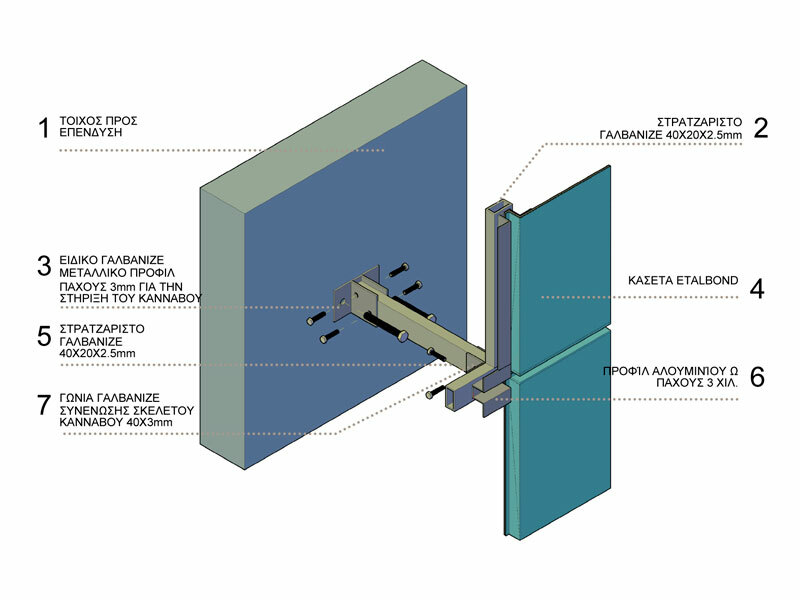 Indicative dimensions of cutting and engraving. 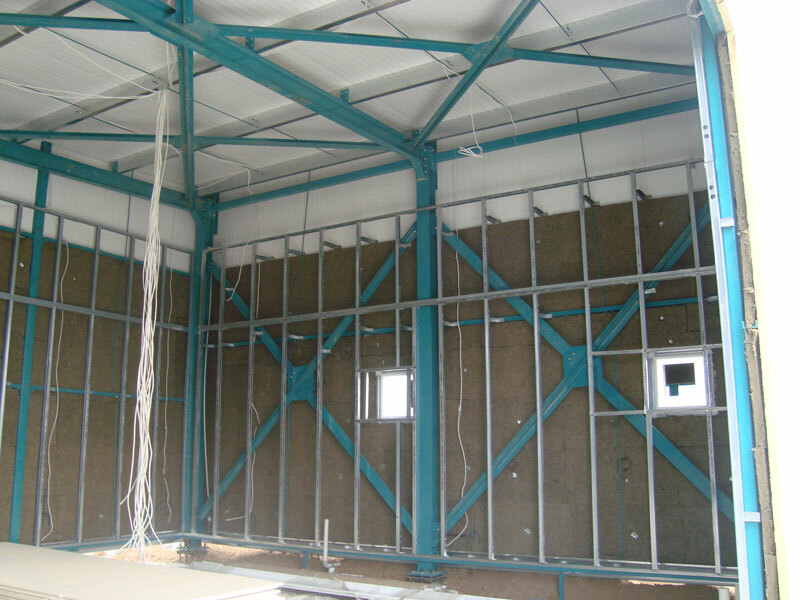 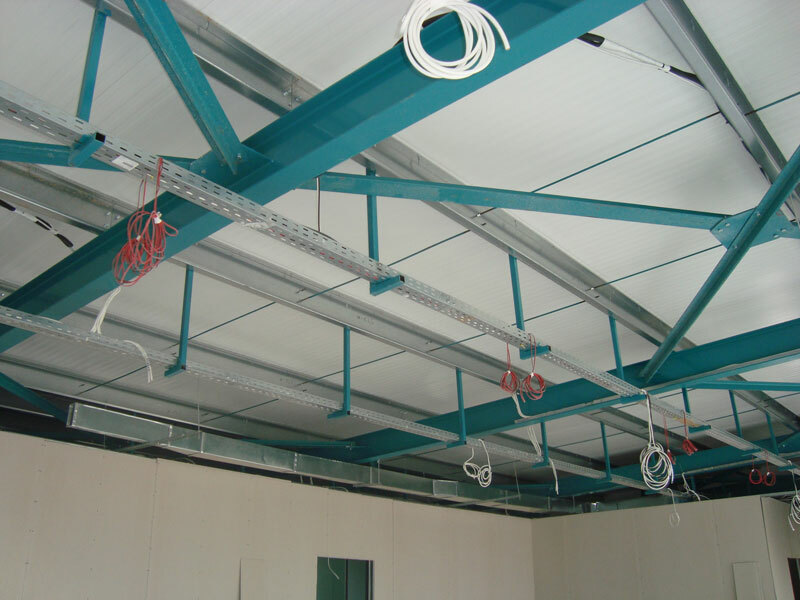 We construct the grid from welded galvanized by means of suitable fittings. 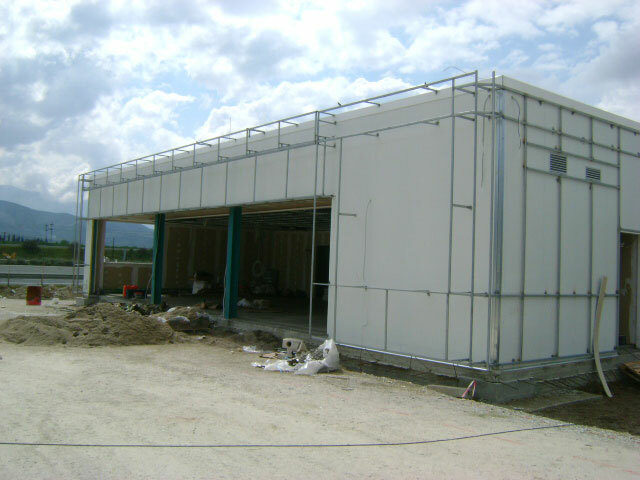 “Ω” aluminum profiles are applied to the body with screws or rivets. 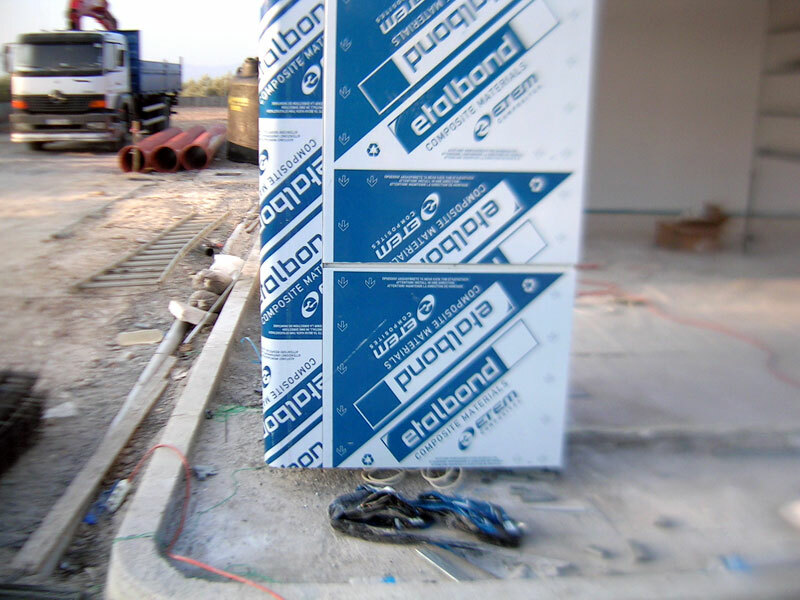 The supporting of etalbond cartridges is made with screws or rivets onto the aluminum profile “Ω” (thickness 3mm). 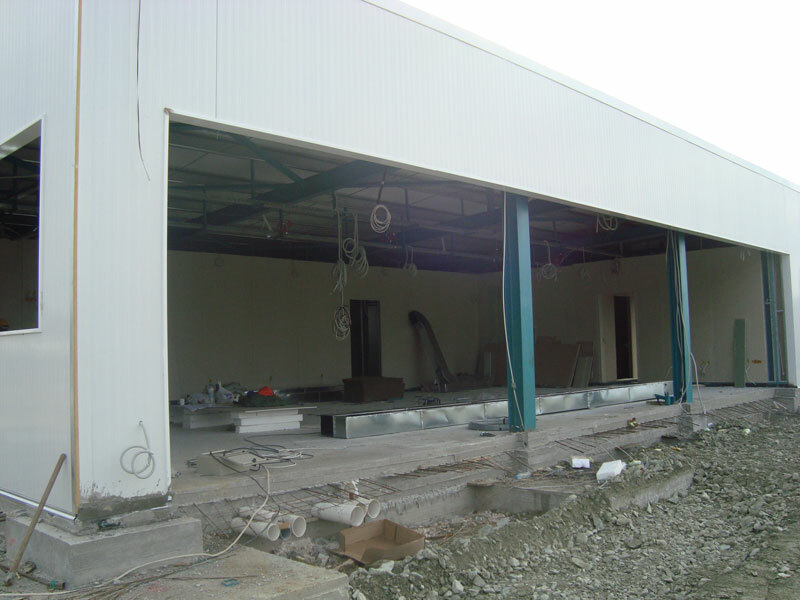 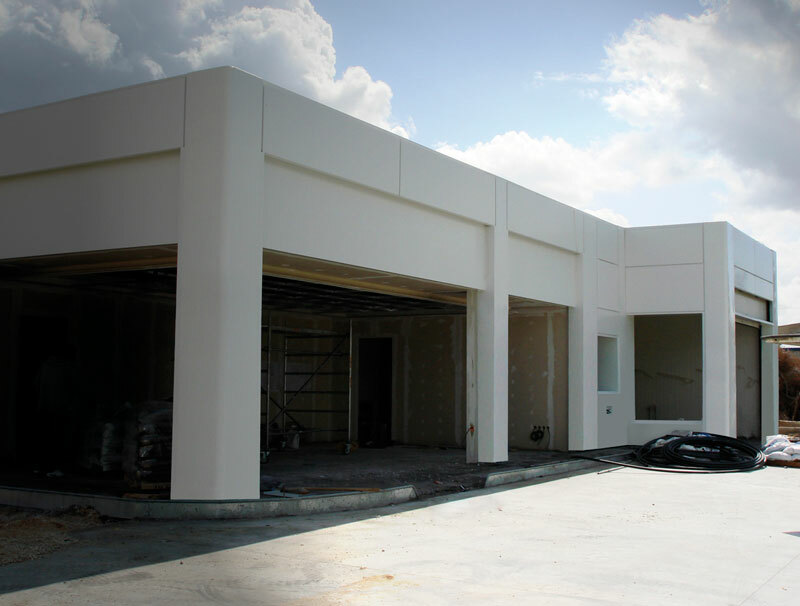 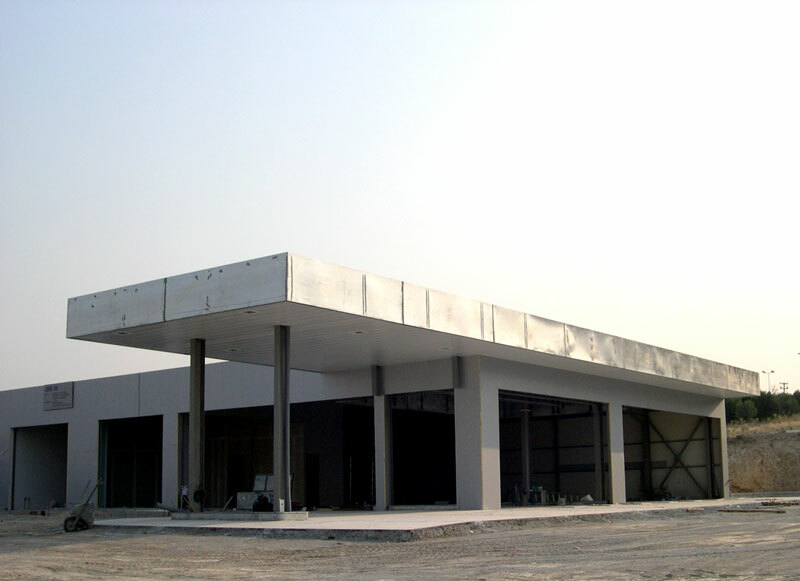 ATEKE undertakes the design and coverage of buildings with composite aluminum panel profiles. 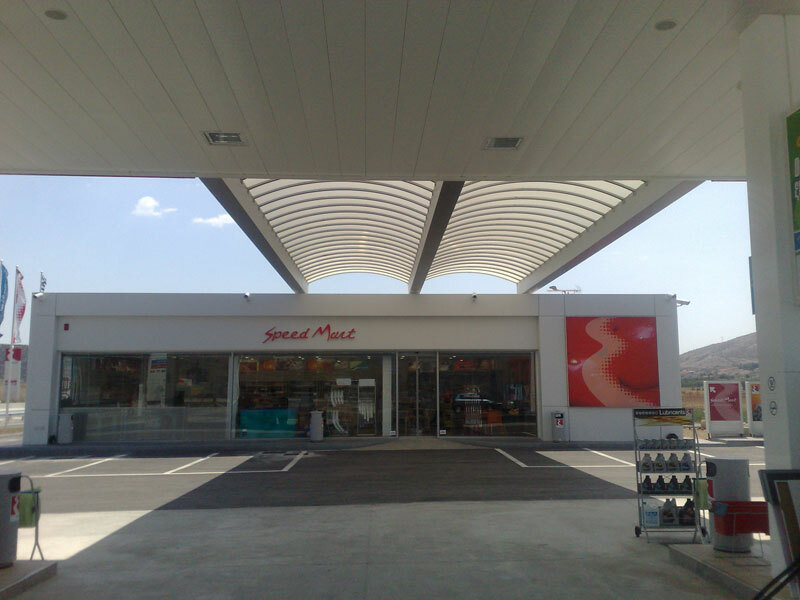 The panels of composite aluminum profiles for the layering of the facades of buildings, gas stations and stores are ETEM Groups’ of Etalbond type. 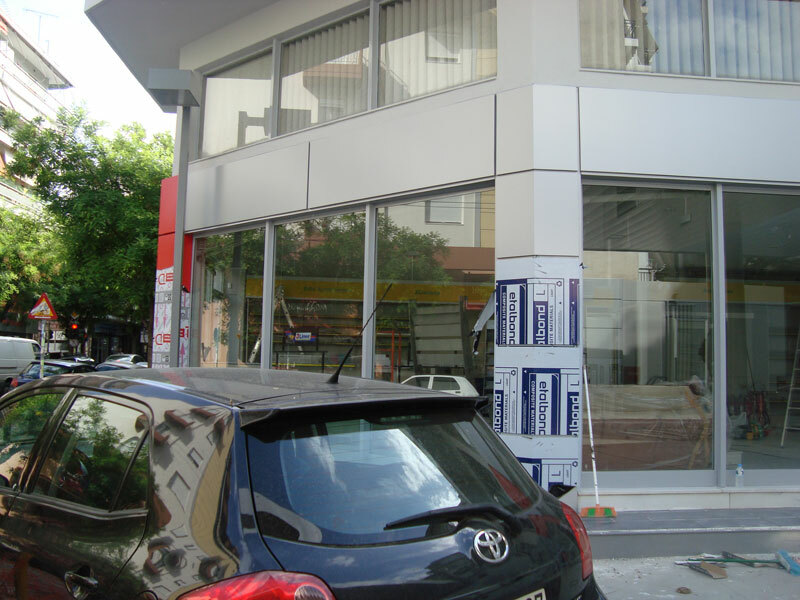 Etalbond is a composite (sandwich-type) material consisting of a core of non-toxic polyethylene, rigidly bonded between two aluminum sheets (facade and background). 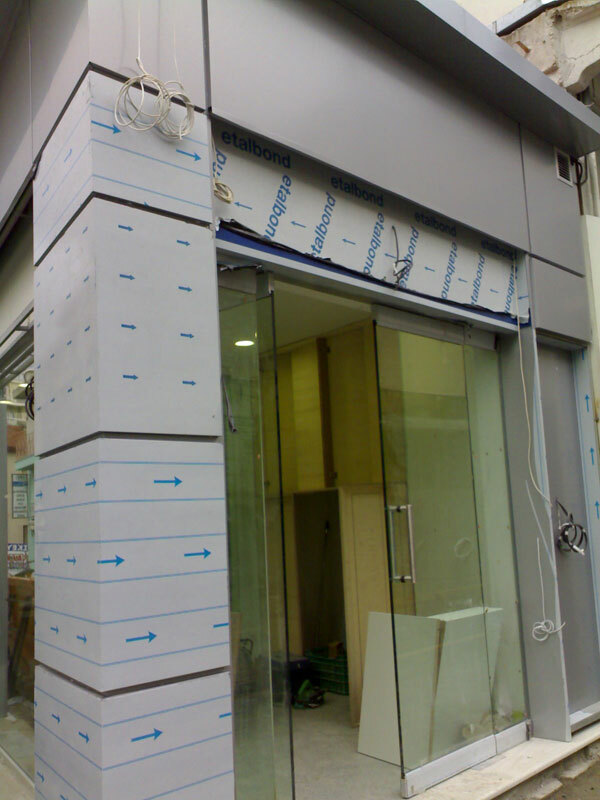 The selected thickness is 4mm etalbond and the fa?ade color is SILVER 9006. 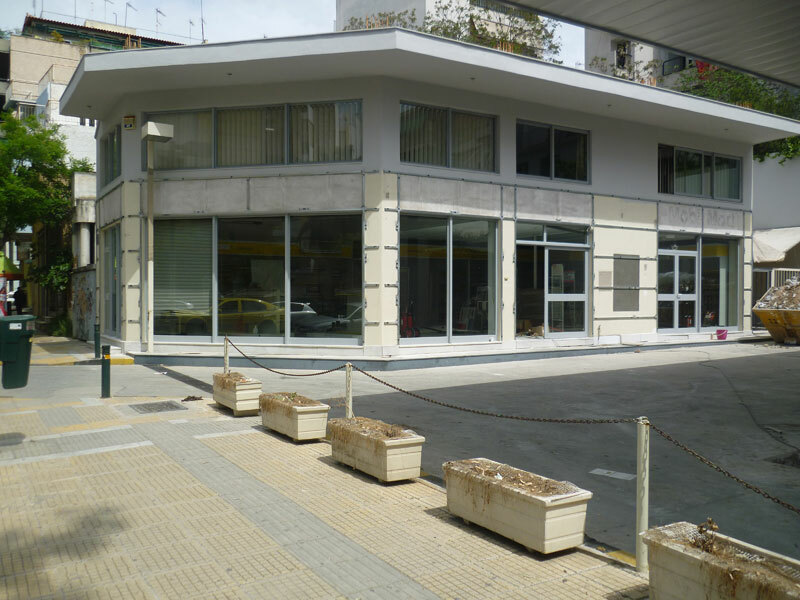 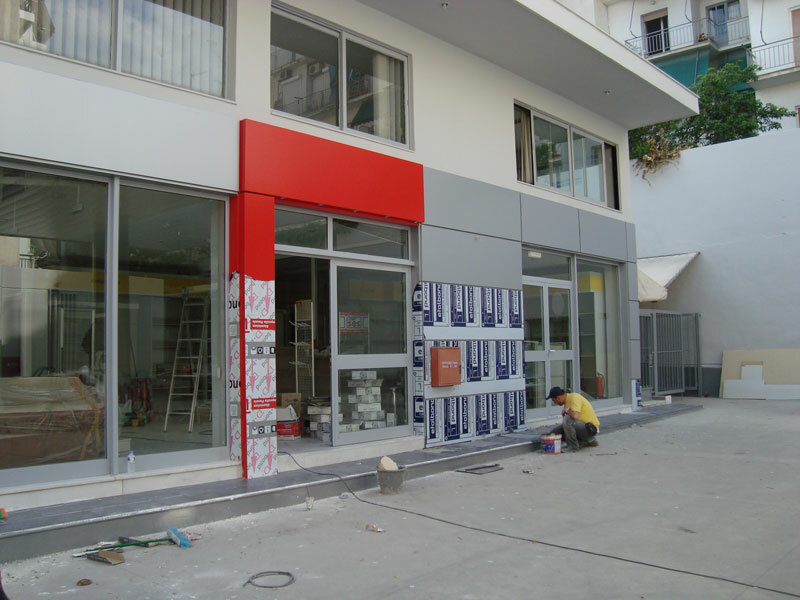 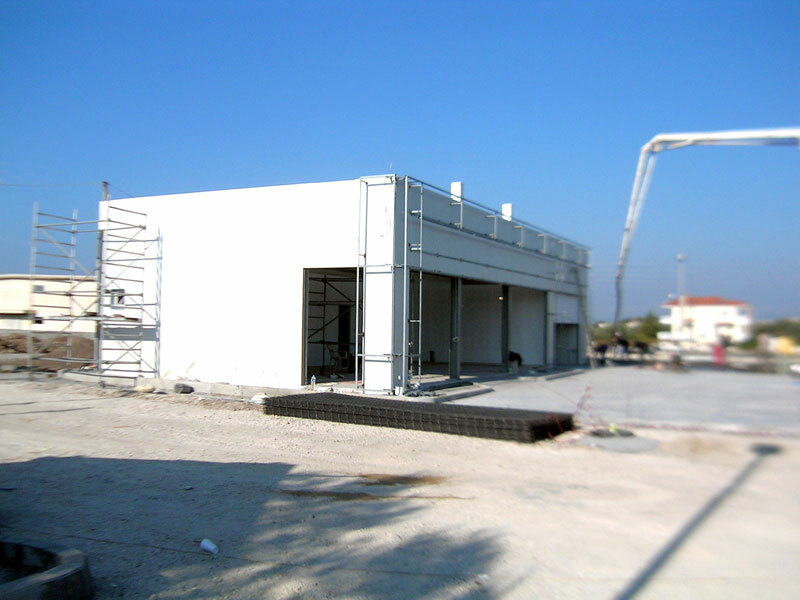 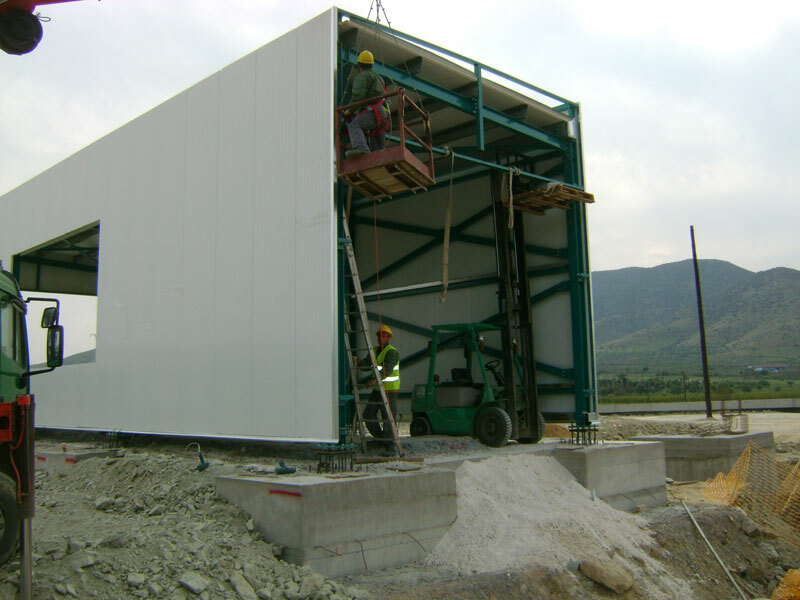 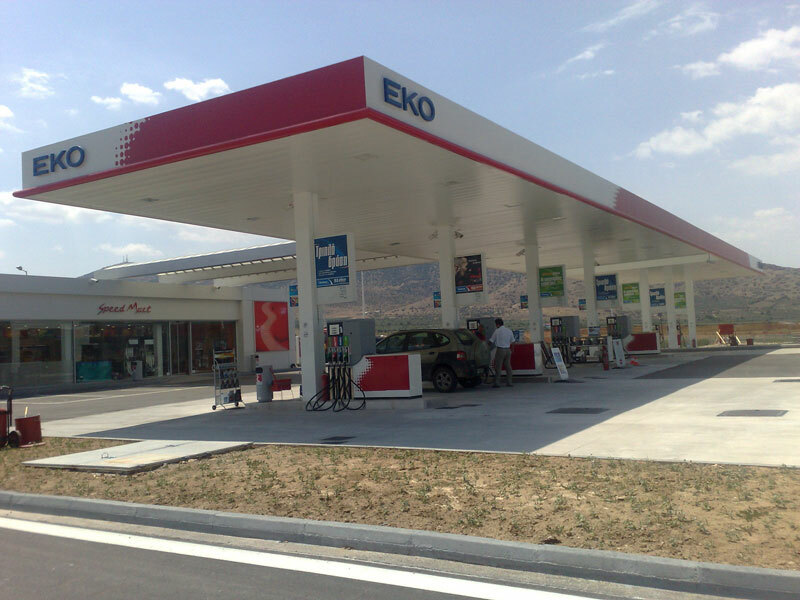 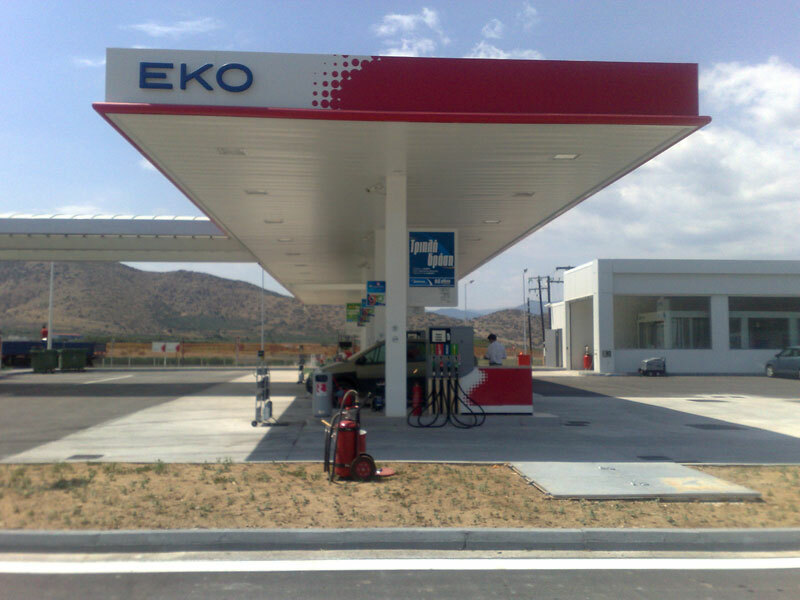 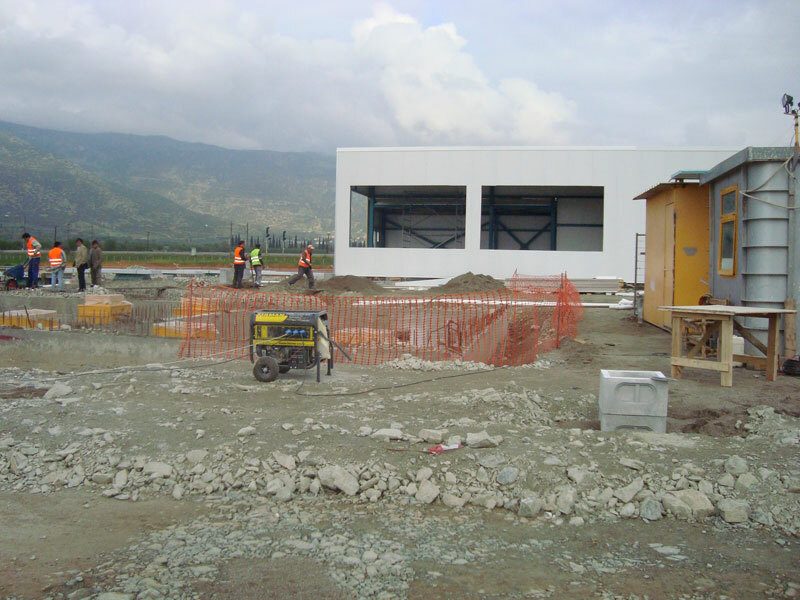 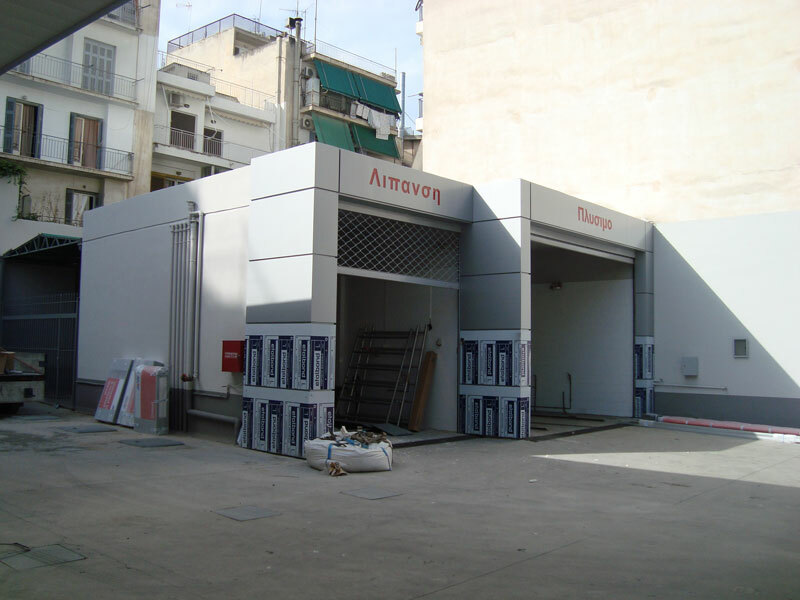 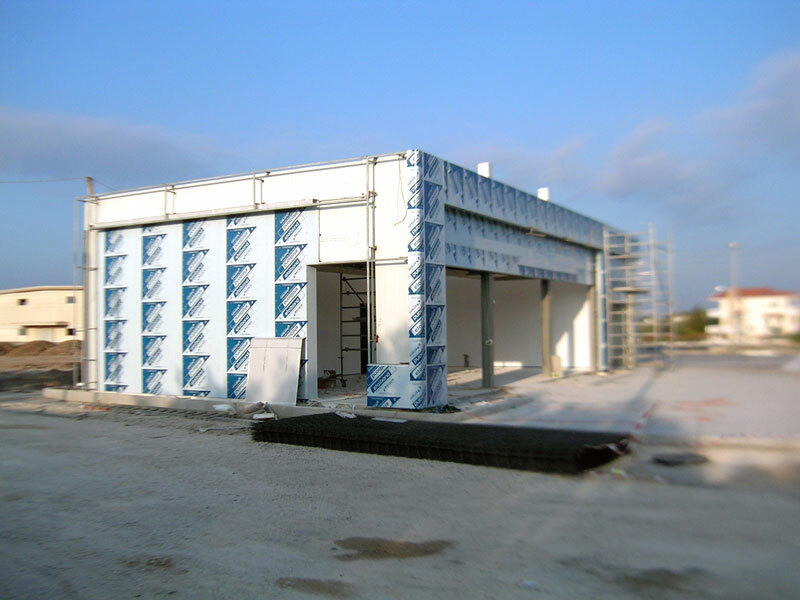 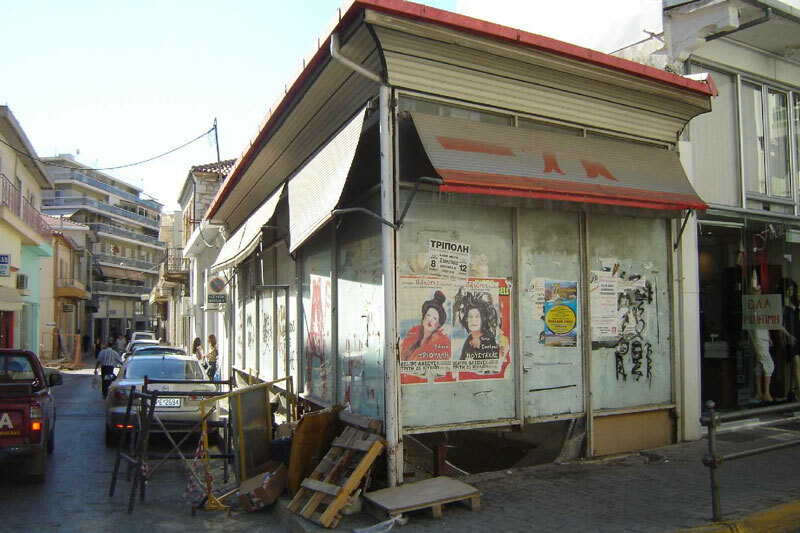 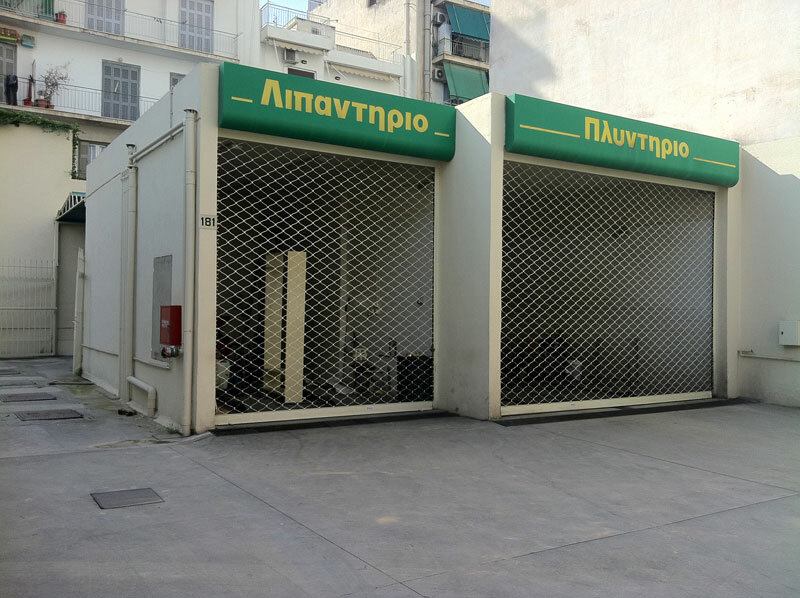 In February 2009 our company began constructing the gas station section on SAR EVANGELISMOU in NR ATHENS-THESSALONIKI, position EVANGELISMOU in LARISA. 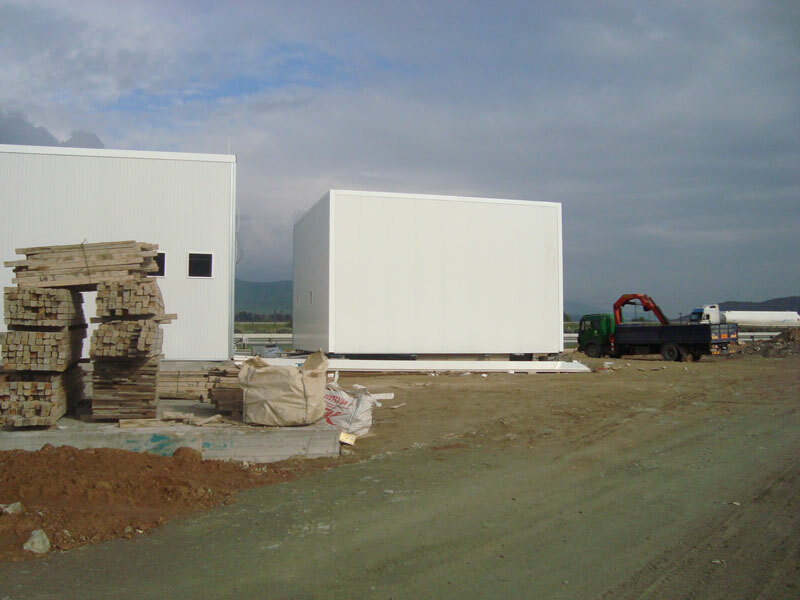 The project had metal buildings which were installed based on the application study for the optimal result of the station complex. 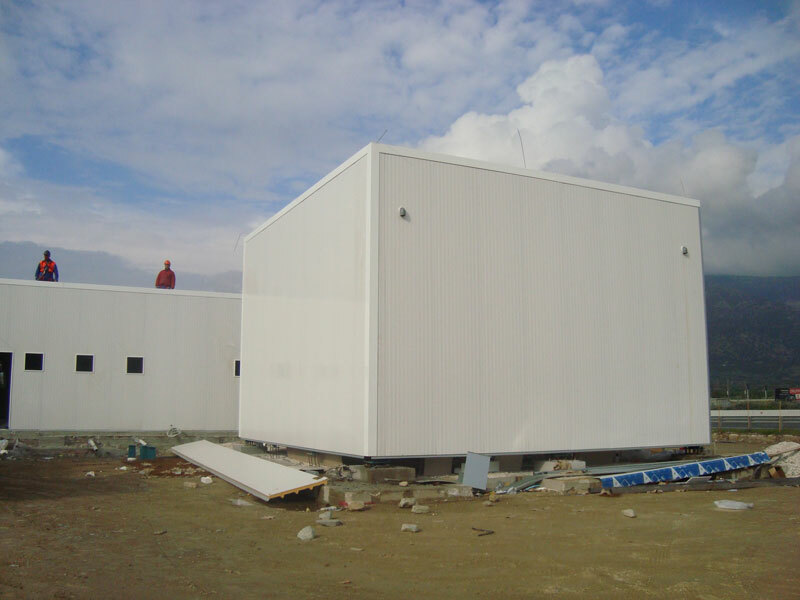 Installation works were completed in less than five days. 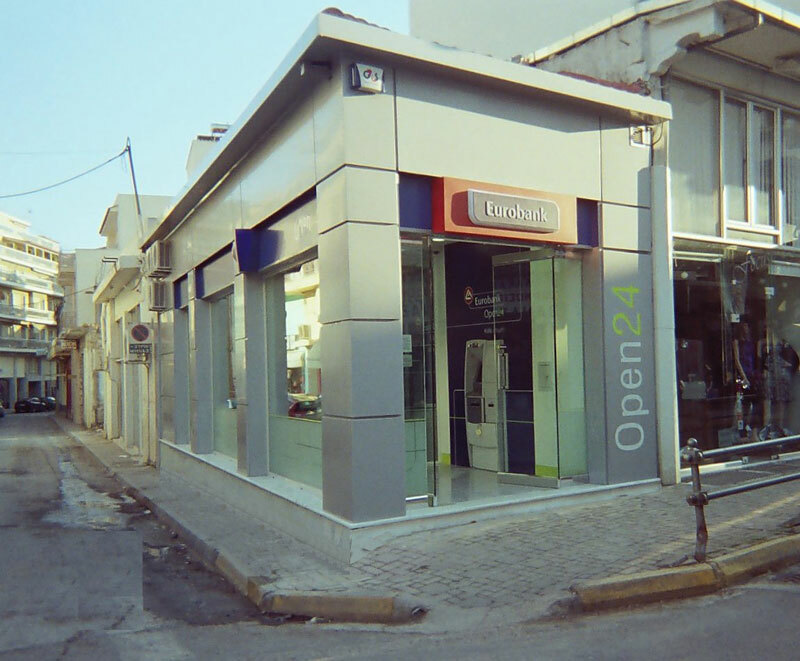 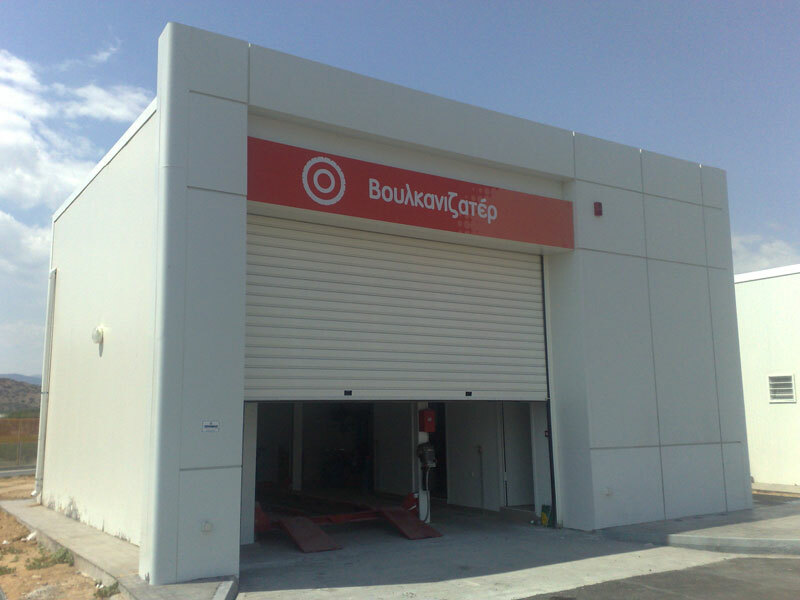 Our company has built open24 banks for EUROBANK in various regions of Greece. 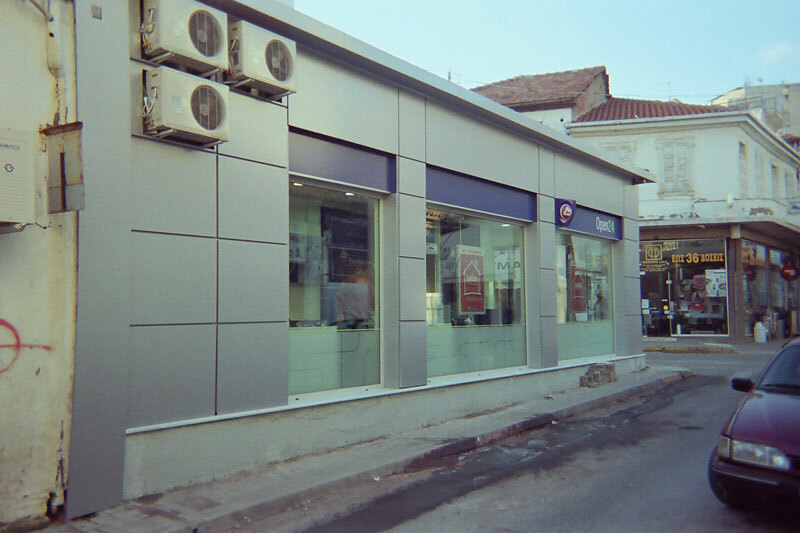 The facade of the bank in Tripoli was completely revised and modernized, forming/creating a very attractive building for the public. 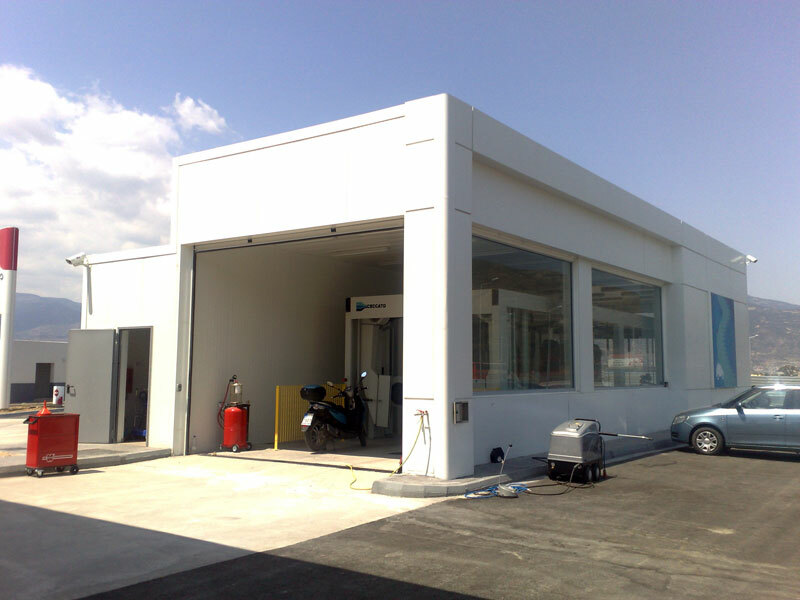 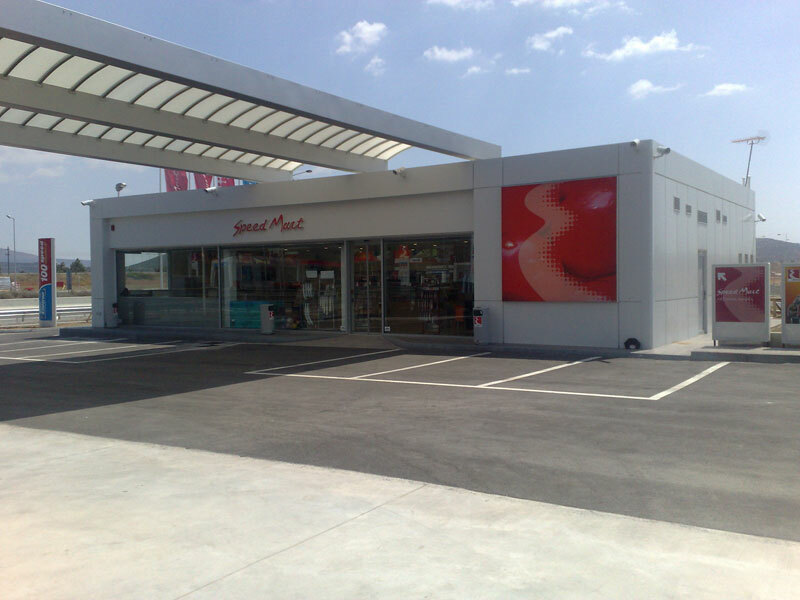 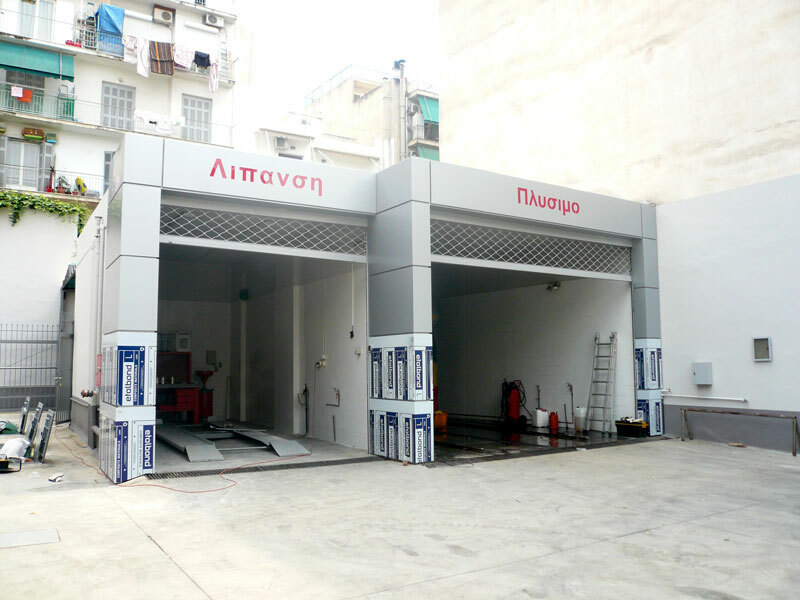 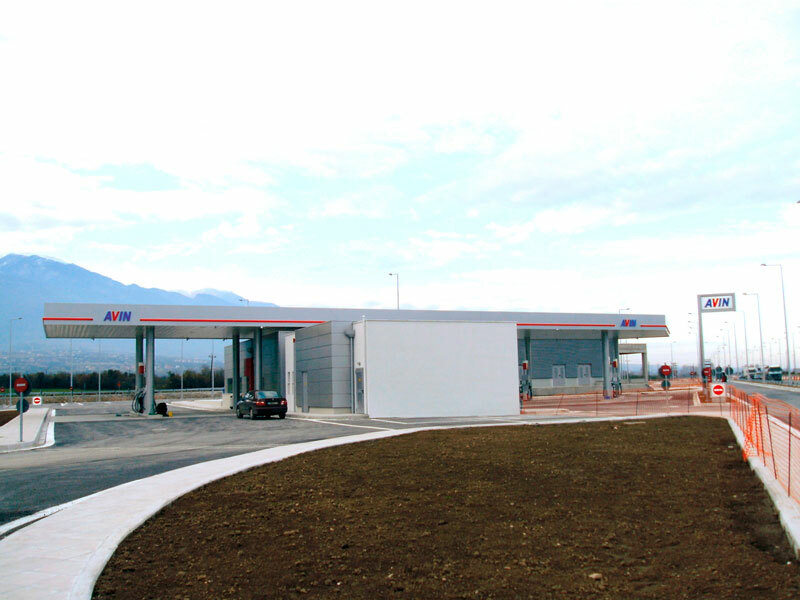 Our company undertook the design and coverage of the building of the gas station, the service station and car wash with etalbond, giving a modern look to the entire station.